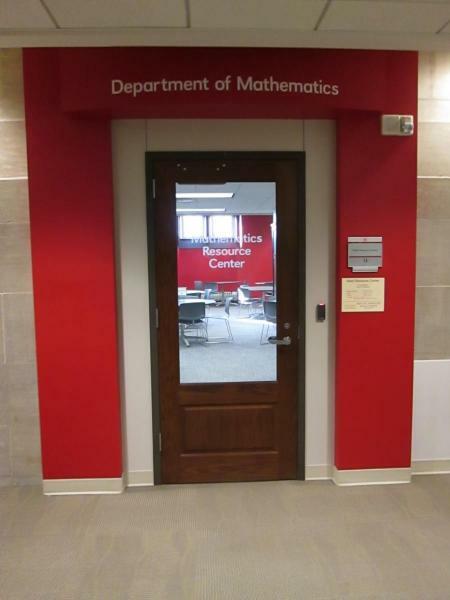 The Mathematics Resource Center (MRC) is a free tutoring service and is the primary facility for undergraduate students who are enrolled in and have questions related to any precalculus or calculus course offered by the department. The Center also provides an excellent location for students to meet and work together on assignments or group projects. No appointments or reservations are needed. Staffed by Graduate Teaching Assistants and by undergraduate math majors hired for the center. Ask for assistance with math courses 100A, 101, 102, 103, 104, 106, 107, and 107H. Contact Dr. Josh Brummer with questions about the MRC. For additional information about resources available students are encouraged to visit Doug Pellatz in the Mathematics Department Office. 12:30 p.m. – 8:30 p.m.
Closed during student holidays and Spring and Fall Breaks.